"I was just deleting all the useless chat threads in my WhatsApp, but I accidentally ended up deleting some really important messages as well. How do I recover my deleted WhatsApp messages?" We've found that the above given question is often posted in various different forums across the internet. I'm sure most of us can understand the anxiety that takes over when we accidentally delete a really important message. And since WhatsApp has quickly become the prime means of communication, most important information and interesting texts are exchanged over this medium. Losing them can be quite a pain, it's like losing a part of your memories! However, fear not. We have some solutions lined up for you. Read on to find out how to recover WhatsApp messages on iPhone. One of the most commonly used methods by which to recover anything on iPhone is through an iCloud backup. If you have the setting enabled to regularly backup to iCloud, your iPhone would constantly keep updating the iCloud backup. Alternatively, you can backup to iCloud manually as well. 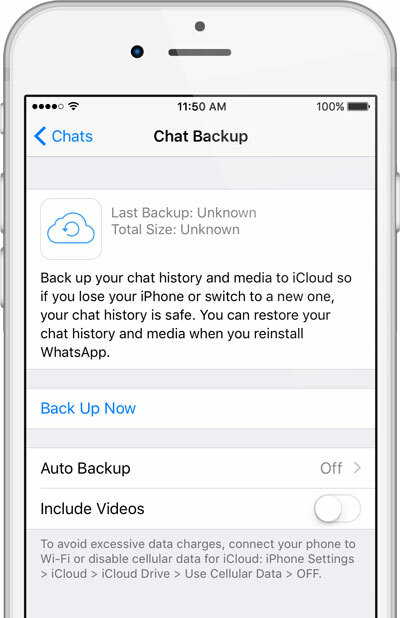 If you've availed of this backup method, then you'll be able to recover WhatsApp messages using iCloud. Step 1: Erase all content. Go to Settings > General > Reset. Select ‘Erase all content and settings.' You might be asked to enter your Apple ID and Password, and the whole process may take a while. Step 2: Follow the Setup. Your iPhone will have to be installed anew. This means you'll have to follow the setup, until you reach the "Apps & Data" screen. Click on "Restore from iCloud Backup." Step 3: Choose the iCloud Backup. 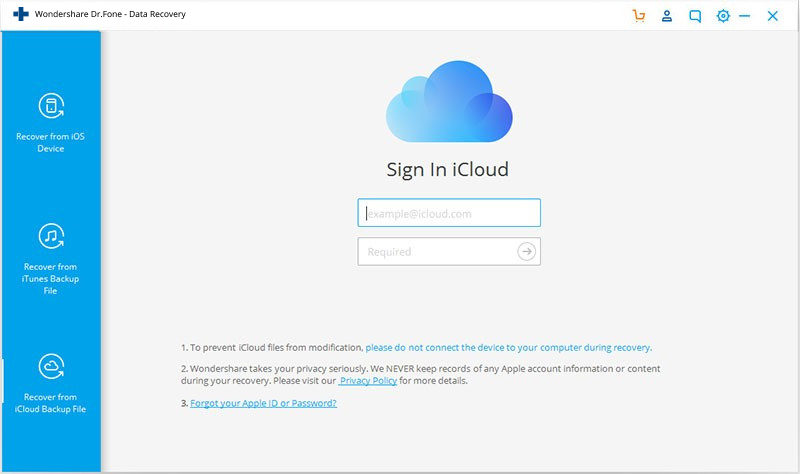 You'll be asked to sign in to your iCloud using your ID and Password. Following that, you'll find a list of all your backups. Choose the one you would like to restore. A progress bar will show up, indicating that your backup is being downloaded. This process may take a long time, depending on your internet quality and the space of the backup file. Step 4: Recover deleted WhatsApp messages! 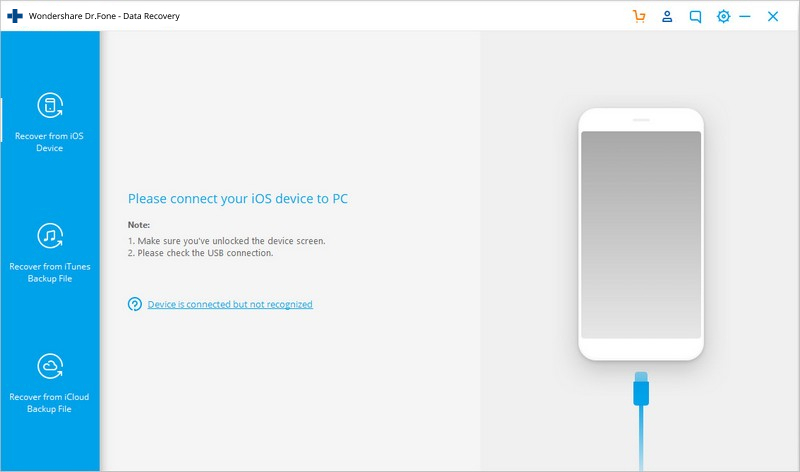 Finally, you can start accessing your iPhone. All the restored data will keep updating in the background so keep the iPhone connected to the internet. You can now access WhatsApp and wait for all your messages to come back! However, as you can probably tell, this methods is extremely inconvenient and would take a long time, and could lead to further data loss. For a detailed list of drawbacks of iCloud backup, read on. You will not be able to selectively decide which WhatsApp messages you want to recover. You won't be able to view your backups before downloading them. You won't be able to isolate just your WhatsApp messages to recover. You'll have to download the entire backup file. 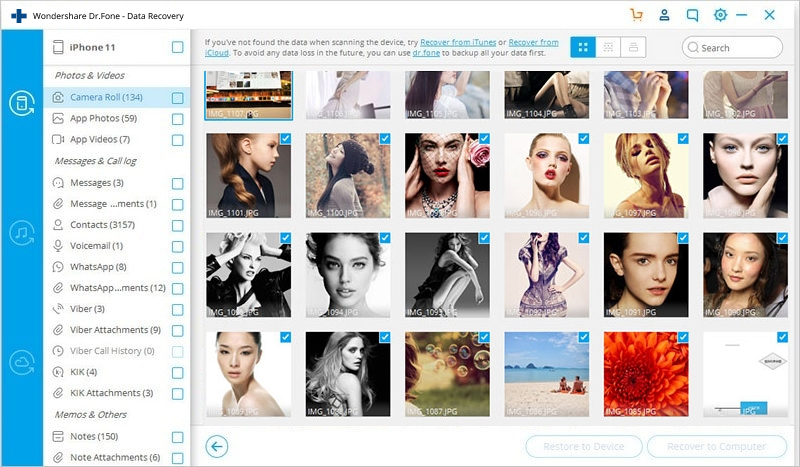 Finally, the entire backup file will replace your current iPhone. This means that in an attempt to recover old deleted WhatsApp messages, you might lose other vital files. If you'd like to find an easier method of restoring WhatsApp messages, without data loss, then you can read the next method. This is an alternative to the previously mentioned method. If you'd like to make a WhatsApp backup manually, then you can use this methods. Go to WhatsApp Settings > Chats > Chat Backup. Tap ‘Back up now.' You can even tap on ‘auto backup' and choose the frequency with which to create backups. Go to WhatsApp Settings > Chats > Chat Backup. Check the time stamp of the last backup. 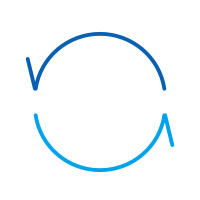 If you feel that backup has the necessary messages, you can proceed with this. Delete WhatsApp and reinstall it from the App Store. 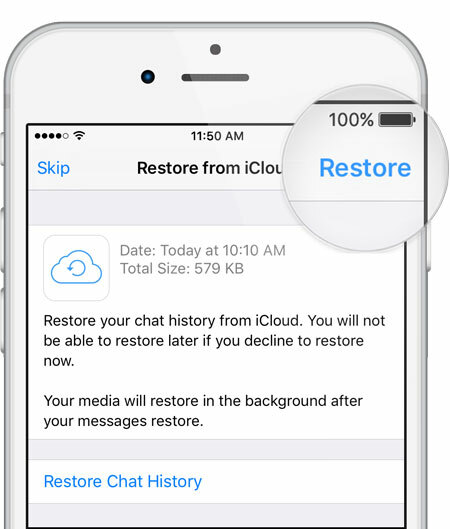 Verify your phone number and then restore the chat history from iCloud. You can only restore them if you have the same phone number as your previous account. This is a far better alternative than restoring messages directly from iCloud as it doesn't involve your entire iPhone being reformatted, however this is also far from ideal. You have to delete your WhatsApp and download the previous backup file. In the process you may lose the more recent WhatsApp messages. If you want to find a means of selectively choosing the WhatsApp messages to restore, without any data loss, then read the next part. dr.fone - Recover (iOS) is a software with which you can view and select all your WhatsApp messages and then save them to your computer or iPhone. With this method you don't need to worry about reinstalling your entire iPhone, and you don't need to restore all useless information. You can cherry pick just the WhatsApp messages that you want to preserve and then save them. This tool works as a great WhatsApp backup extractor. This tool can even help you restore deleted Facebook messages. Alternatively, there are also specific tools that can help your recover Viber messages, or recover deleted Kik messages, etc. 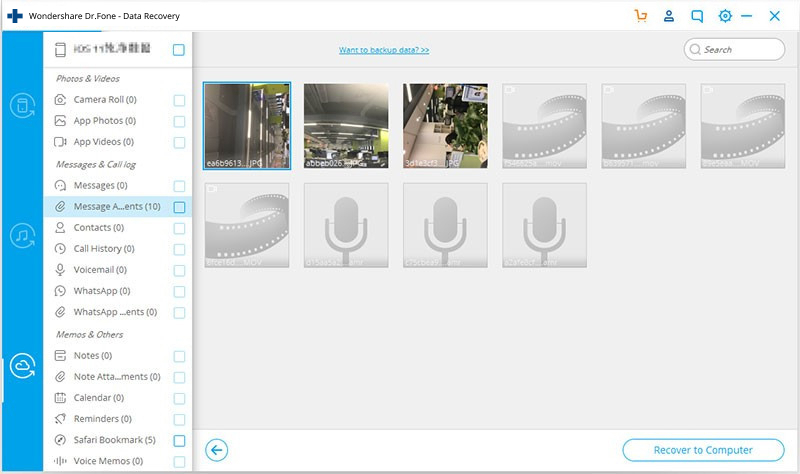 Retrieve photos, videos, contacts, messages, notes, call logs, WhatsApp and more. Recover lost data due to iOS update, factory reset, deletion, system crash, jailbreak or ROM flashing. With this simple Whatsapp chats recovery tool you have three options at your disposal. You can scan the iPhone and restore deleted WhatsApp messages without backup. 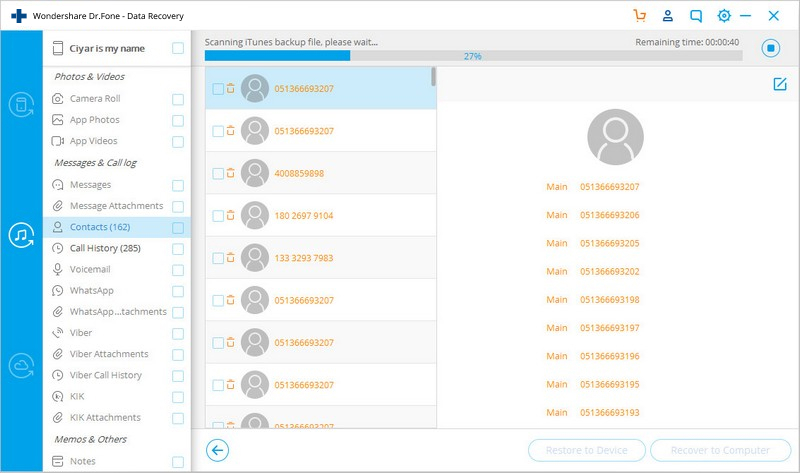 Alternatively, you can even view and access your iTunes and iCloud backup files in your computer and then select and recover deleted WhatsApp messages. Please read on to find out how each method works. Launch dr.fone, choose the ‘Recover’ feature, then connect your iPhone to your computer. dr.fone will immediately recognize the device. Step 2: Select the Recovery Type. 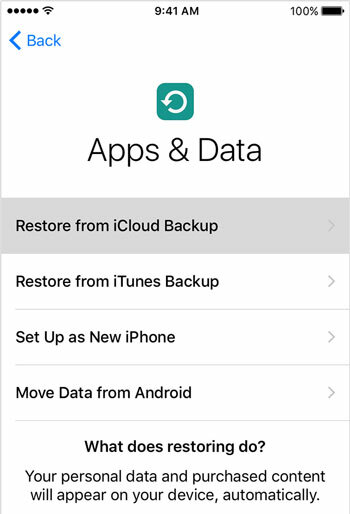 In a left hand panel, you'll find the options to recover from iCloud or iTunes backups, or to ‘Recover from iOS Device.' Choose the latter. Step 3: Select the file type you want to restore. Below "Deleted Data" you'll find several different categories of file types. Since you want to restore deleted WhatsApp messages, select "Messages & Attachments". After you select, you can "Start Scan." Step 4: Recover deleted WhatsApp messages from a gallery. You'll be taken to a gallery with all your messages and attachments, even the ones which you've deleted. You can navigate through the different file types and folders from the left panel, and then you can view their contents in the gallery to the right. Select the WhatsApp messages you want to recover, and click "Restore to Computer." 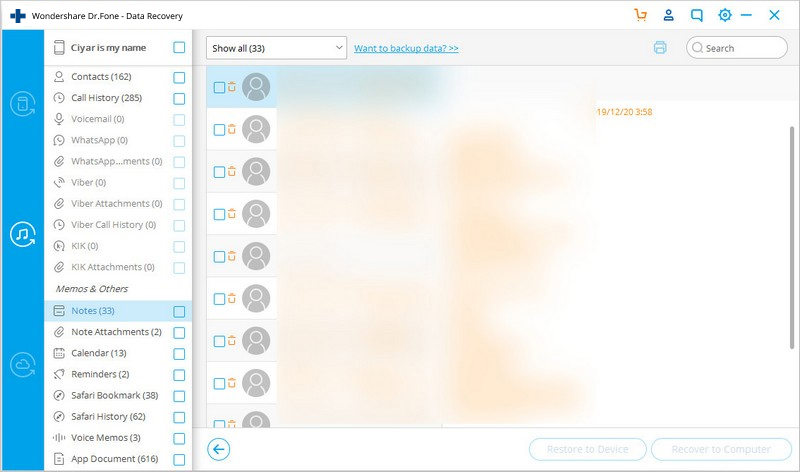 If you keep your iCloud backups updated, or if you believe your WhatsApp messages are there in your iCloud backup, your can view and access them via dr.fone, and then save the ones which you want to restore. 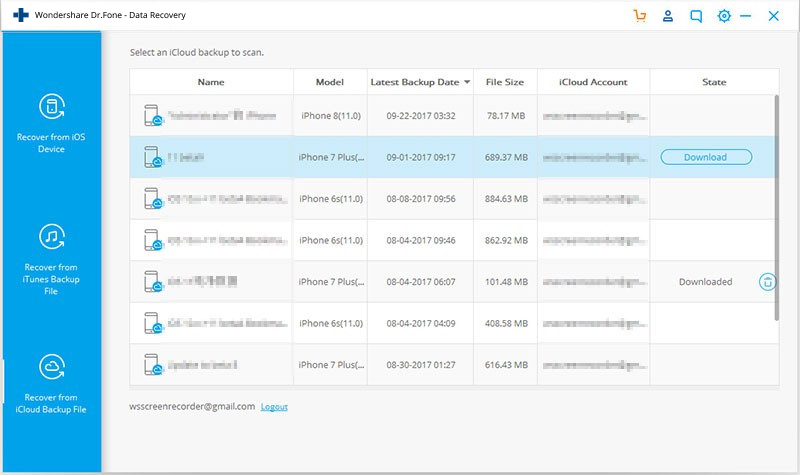 There are also other iCloud backup extractors available and you should go through them all, but our personal preference is dr.fone because of its degree of convenience, reliability, and efficiency. Step 1: Select the recovery type. 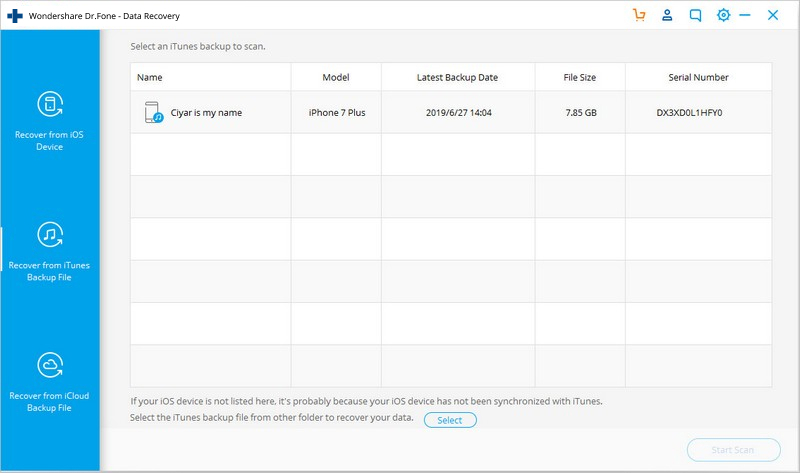 In the left hand panel, select the option "Recover from iCloud backup files." 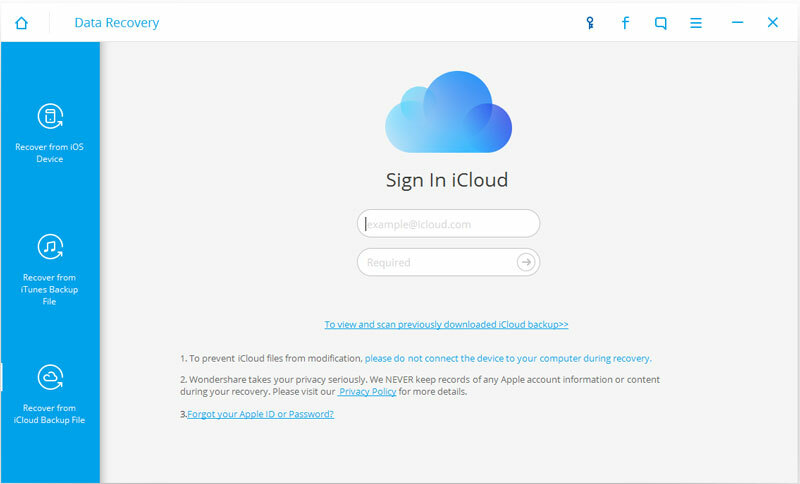 Now access your iCloud using your iCloud ID and Password. Step 2: Choose the iCloud backup you want to restore. You'll get a list of all your iCloud backups. You can choose the one which suits your purpose best. Click on "Download." Once the download is complete, which might take quite some time, you can hit "Scan." Step 3: Recover deleted WhatsApp messages. Go through your entire gallery of WhatsApp messages and find the messages you erroneously deleted. Select them and hit "Recover to Computer." This method is ideal for those who maintain their backup on iTunes. 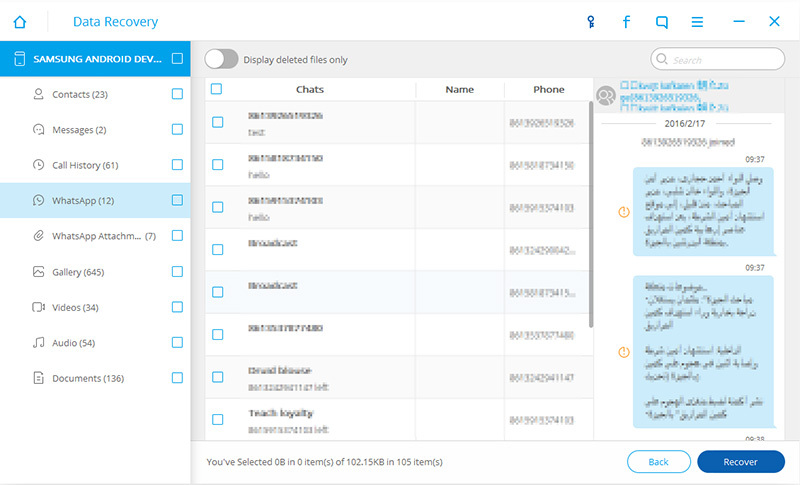 dr.fone is one of the best iTunes backup extractors available, so it can help you view all your WhatsApp messages and save the ones which you want to restore. Step 1: Recover from iTunes Backup File. In the left hand panel, select "Recover from iTunes Backup File." Step 2: Select the backup you want to use. Step 3: Recover deleted WhatsApp messages from iTunes backup. 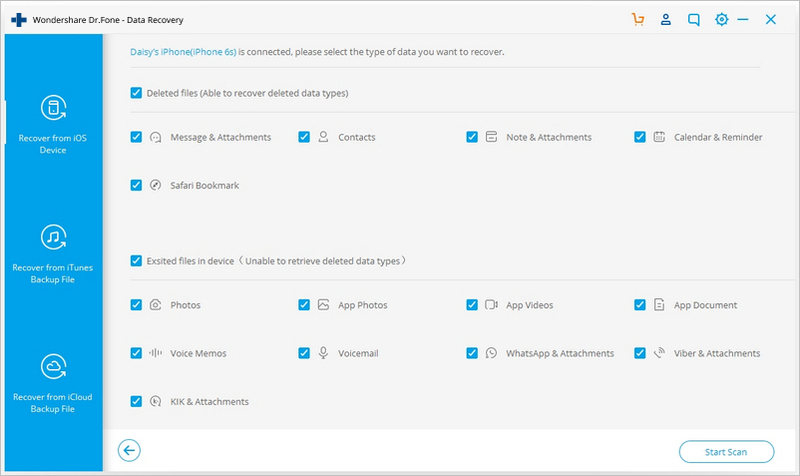 Browse through all the WhatsApp messages, select the ones you want to keep, and then click on "Recover to Computer" to save them to your PC. So now you know that there are different means of recovering deleted WhatsApp messages. We recommend using a third-party software such as dr.fone, recommended above. 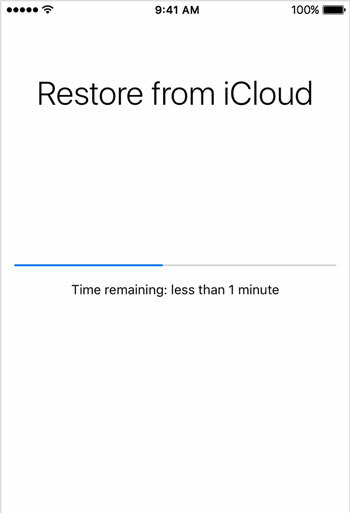 But you can also restore directly from iCloud as well, however that procedure will be extremely time consuming and you would run the risk of further data loss, as explained in the earlier section. dr.fone helps you selectively choose WhatsApp messages you would like to restore and ignore the rest. Do let us know down in the comments if you found this guide to be helpful. If you have some other means of recovering deleted WhatsApp messages, we'd love to hear them! Fix WhatsApp issues of various kinds after going through this comprehensive post. We have provided 20 solutions to several WhatsApp problems right here. Separate yourself from the crowd with our ultimate choice of best WhatsApp messages and learn how to backup WhatsApp chat history.